… amenities include … An elevator that almost never breaks down between floors … Doors that lock. 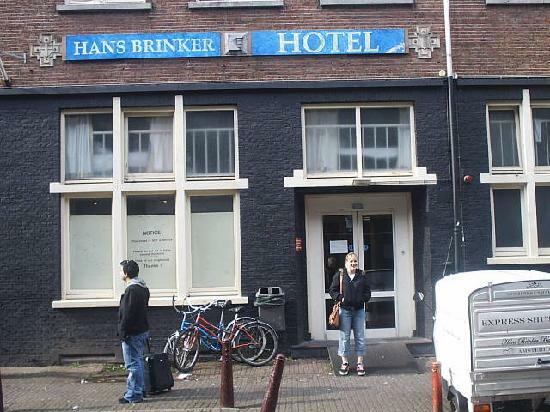 The Hans Brinker Budget Hotel isn’t just a cheap youth hostel in Amsterdam. It’s a cheap, dirty, cold, poorly lit youth hostel in Amsterdam. “What can I say? It was cheap. But not that cheap. I mean, a bus shelter offers the same facilities.” – Charlotte, Texas. “What is that smell? I demand to know what that smell is.” – Lisa, Oklahoma. It’s got 3 circles from 231 reviews on Trip Advisor and is ranked #55 out of 126 “specialty lodging” places. The distribution of reviews is all over the board, but “average” and “very good” have the highest numbers, so it can’t be that bad.